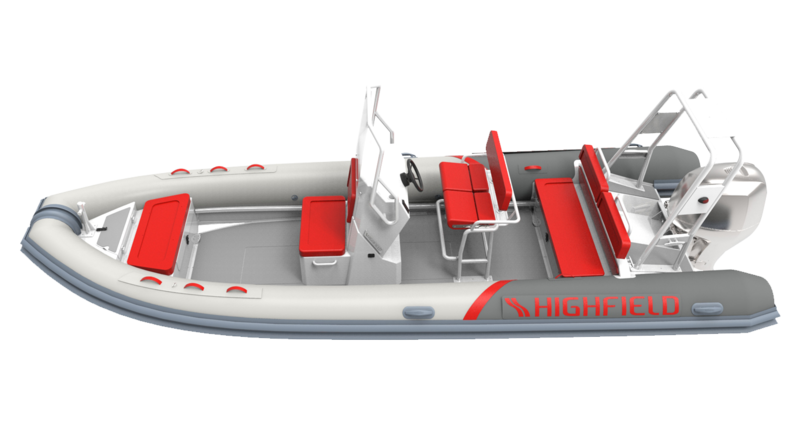 Overall Length 3.50 m 11' 6"
Internal Length 2.62 m 8' 7"
They are fabulous cruising RIB or luxury tender. 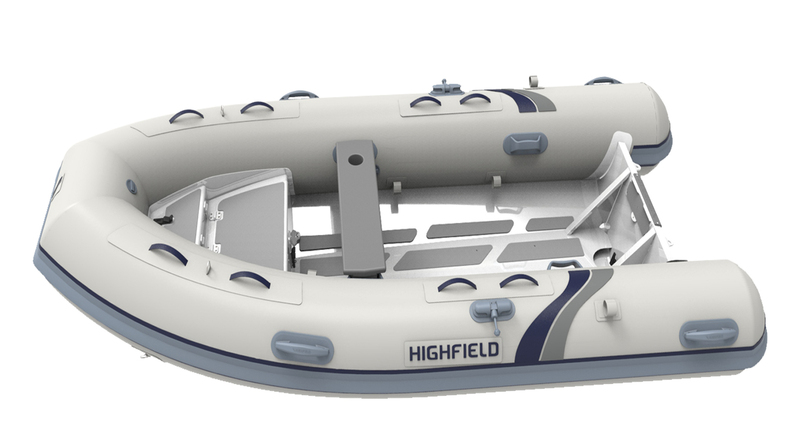 Whatever layout you choose, you can be assured that your Ocean Master is built to last. The Ocean Master range is designed with harsh conditions in mind. 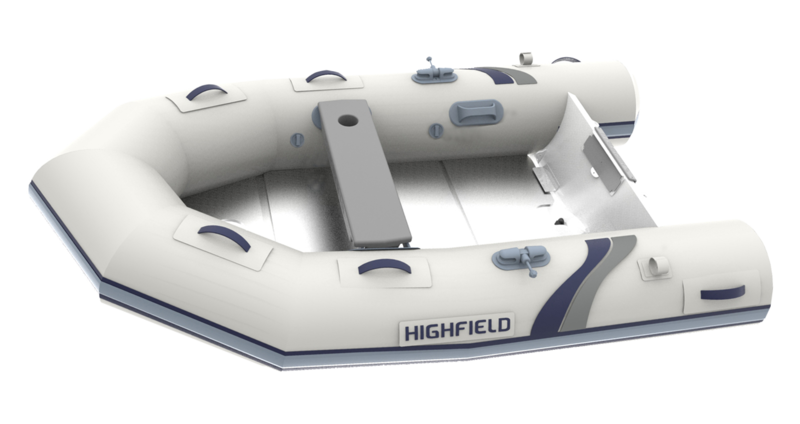 Integrated fuel tank, non-slip deck and a 20º dead rise let you take on even the roughest conditions confidently. 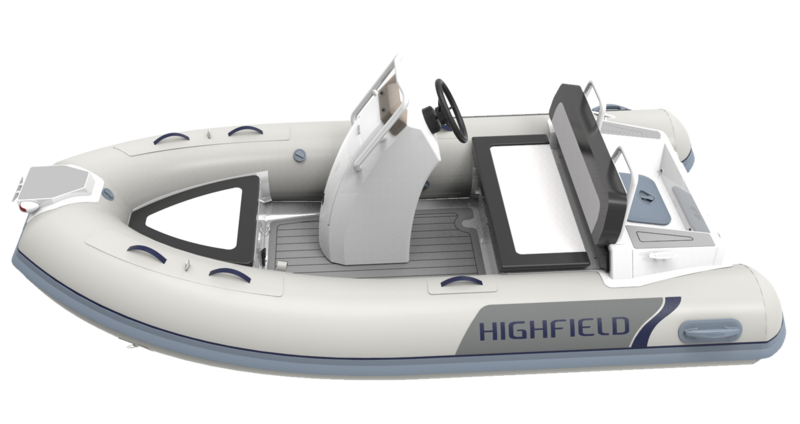 With the impermeable qualities of our aluminium hulls there’s no need to worry about gelcoat chips, or putting the boat on a beach or a trailer. 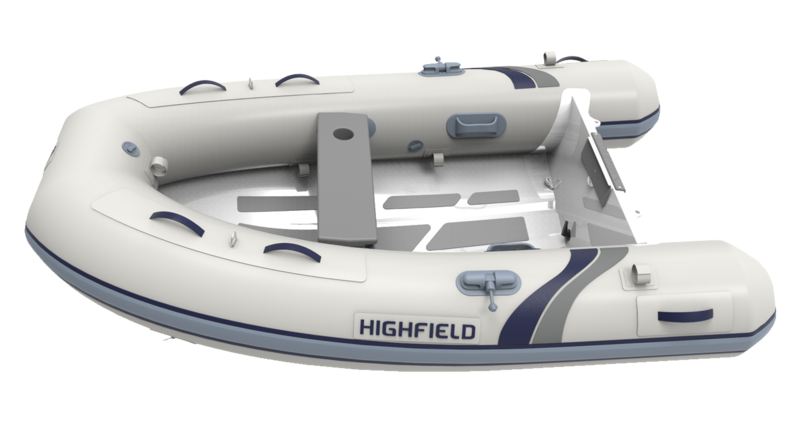 Your Highfield Ocean Master won’t delaminate over time, retaining its agile performance and weighing the same in 10 years time as the day you towed it away from the showroom. 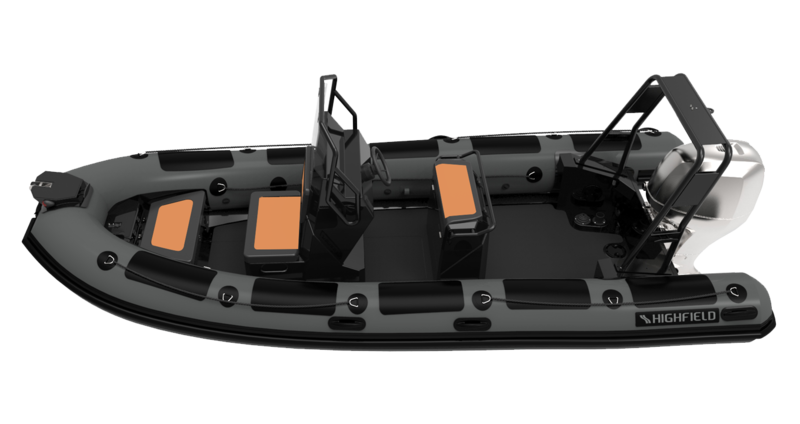 All Ocean Master RIBs are easy to trail, easy to launch and recover due to their light weight and integrated davit lifting eyes. 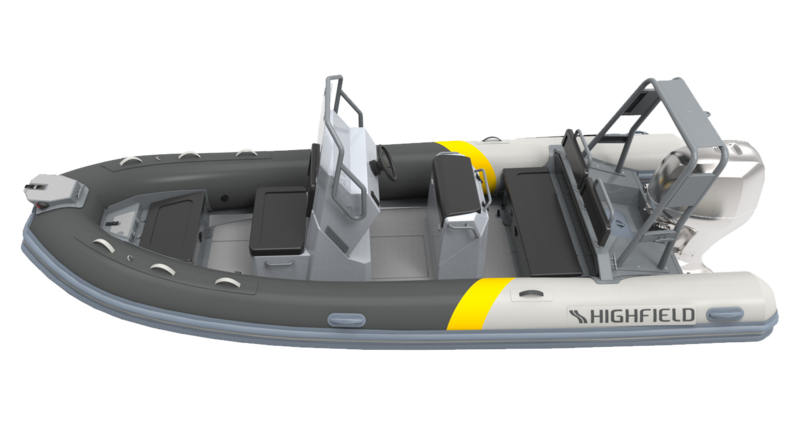 The hull of the Ocean Master 350 is built of 3mm thick powder coated marine grade aluminium. The tubes are made of 1100 dtex coated fabric.